Situated in downtown Nashville, just off Interstate 65, commuters pass by a group of buildings that offer only small clues to their past prominence. Barry Walker, the present owner of the buildings, quietly inches his way, restoring the buildings to their prior glory. The main building was constructed in 1881 as "The Phoenix Cotton Mill" also known as the Nashville Cotton Mill. By 1910 the building was vacant. Quietly brewing in Jackson, Tennessee was a manufacturing company started in 1874 under the name of Sherman Manufacturing Company, later sold and renamed "Southern Engine and Boiler Works." They incorporated in 1884, producing gasoline engines and boilers. By 1904, they had become the largest manufacturer of its kind, in the nation. Building on the success of their engines, and prosperity of their company. In 1906, Southern started production of their first automobile, designed by gifted engineer William H. Collier. By 1910 some 600 automobiles were produced under the brand name of Southern. Southern Engine and Boiler Works success with automobiles caught the attention of wealthy Nashville Businessman, Augustus H. Robinson, who assembled a group of investors that purchased the automobile division and relocated it to the vacant Phoenix Cotton Mill building. It was learned that another manufacturer was producing automobiles named Southern, so William Collier renamed his cars "Marathon" in honor of the 1904 Olympics. When relocation was complete, Marathon expanded its line from the original A9 Touring Car and B9 Rumble seat Roadster. By 1911 five models were offered, and by 1913 they had increased to 12 different models. The car was a complete success with the public, and production could hardly keep up with demand. Marathon had Dealers in every major city in America; by 1912 they had achieved production capacities of 200 cars monthly, with plans of 10,000 yearly. 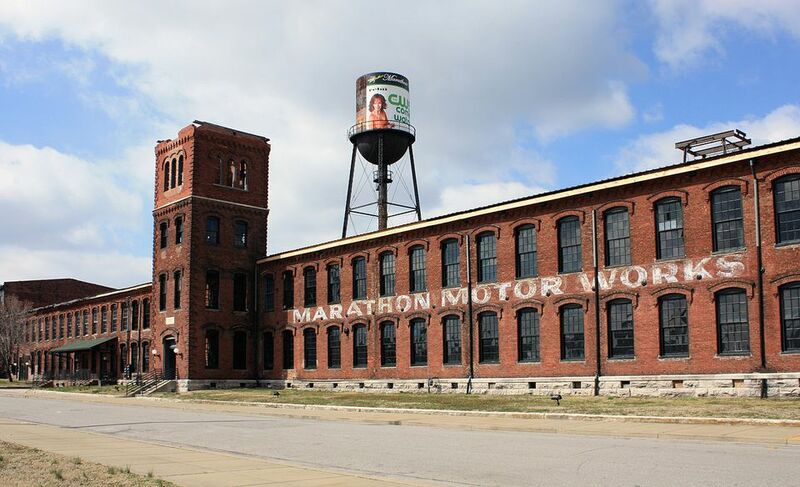 Although the future seemed bright for Nashville's Marathon Motor Works, what lurked behind the scenes was not quite as rosy. In 1913 William Collier filed charges of management impropriety and suppliers were not being paid. The company had seen three presidents in four years. Through bad investments and management decisions, the company was in dire financial shape. Production in Nashville had ceased by 1914. All the machinery was eventually purchased by Indiana Automakers, The Herf Brothers, who produced the car for another year in Indianapolis, under the name of Herf-Brooks. It is not known exactly how many Marathons were produced, although only eight samples are known to exist today. The Nashville Marathon building remained open, with a skeleton crew producing parts until 1918. The building sat vacant until 1922 when it was purchased by Werthan Bag Company and subsequently filled with machinery for cotton bag manufacturing. The original Southern Engine and Boiler Works Company in Jackson had also endured its share of financial woes. In 1917 the company was sold to an investor from Cleveland Ohio. In 1918 the mill supply division was sold and became known as Southern Supply Company. In 1922 the remaining parts of the once great company were purchased by none other than William H. Collier who operated Southern Engine and Boiler Works until its complete demise in 1926. Barry Walker, a Jackson native, purchased the Nashville Marathon buildings in 1990. He also acquired the Southern Engine and Boiler Works buildings in Jackson, Tennessee.